The "parent" keyword to access a parent node in the code syntax tree. The "childset" keyword to access a child node in the code syntax tree. The use of explicit code segments delimited with ` and '. Allows calls to dynamic-link libraries, shared object libraries or dynamic libraries. Object, array and chained list data types. They are respectively created by internal functions names, array and list. ANSI stdio.h interface for single-byte strings functions. The most recent version is 3.5 and was released on 2018-03-31. 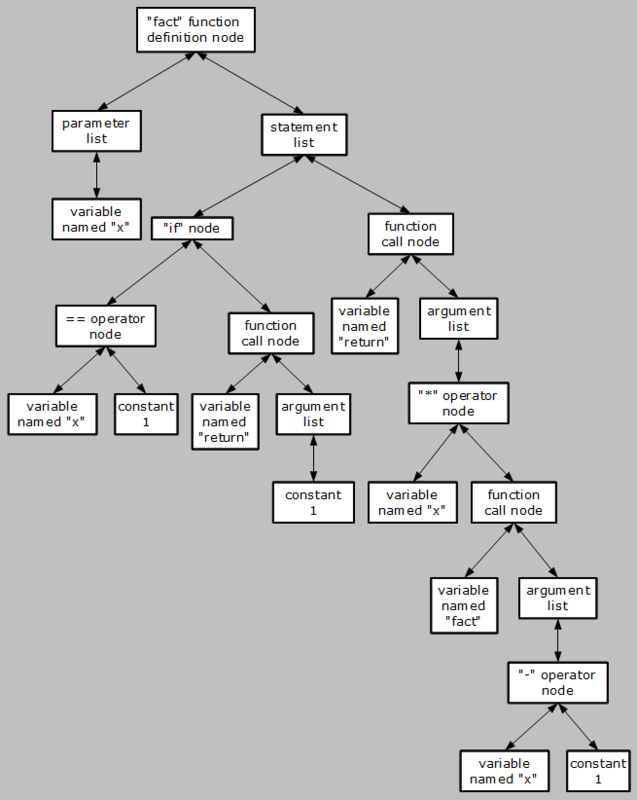 So, what's a syntax tree? Below you can see how childset and parent keywords can be used to navigate this tree. "Parameter must be greater than zero."